Oil pulling is an ancient Ayurvedic practice that has been gaining popularity for the past few years. But what is it? Simply put, oil pulling is the practice of swishing oil through your teeth. While it's been practiced for thousands of years as a natural folk remedy, more and more people are now incorporating it into their daily routines for a variety of reasons. 1. Put 1 teaspoon of desired oil into your mouth. 2. Swish the oil throughout mouth and between teeth for approximately 20 minutes. If this proves to be difficult when you begin, feel free to work your way up until you can do this for the whole 20 minutes. When you are through, the oil will have a thick consistancy. 3. Spit the oil out into the sink (rinse down well) or the garbage. It has absorbed toxins from the body and should not be swallowed. 4. Give your mouth a good rinsing. Salt water may be used to remove any oil remaining. 5. Brush teeth for a sparkling clean feeling. 1. There's no such thing as detoxification. (False! Plenty of research has gone into learning how the body detoxifies. It's the body's natural cleansing process- but sometimes it can use a boost). 2. It's just another health fad. (While it may be gaining popularity on the mainstream market, it shouldn't be discounted purely based on that. Looking up testimonials from real people can show just how many people have been positively affected by oil pulling!). 3. I don't have the time/money to do this. (Luckily, oil can be purchased for very cheap at almost any grocery store, and will last you awhile. And think of it as another little part of your daily routine. The results you see and feel will be worth it). Here are some tips to get you started on your new routine! Try to fitting it into your morning routine; you're more likely to stick with it. If 20 minutes seems like a stretch, do it while you read the paper or watch a TV show. 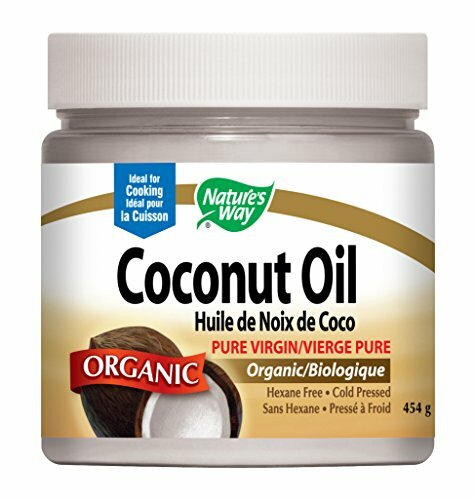 Coconut oil is a favorite among oil pullers. Try it out for some extra flavor. Oil pulling can be done up to 3x a day, depending on the severity of your symptoms or your health goals.